Mormonism (officially the Church of Jesus Christ of Latter-Day Saints; also referred to as “LDS”) originated with Joseph Smith, Jr., in New York in 1830. He asserted that he had seen a vision of God and had been instructed by “exalted beings” to find and translate plates containing records of an ancient people. This translation came to be known as the Book of Mormon, which Smith began to distribute as “another testament of Jesus Christ.” Mormonism began to grow and continually developed with supposed on-going revelation given to Joseph Smith, much of which was put forth in written form in the Doctrine and Covenants. When Smith was killed in 1844, the leadership of the church was passed on to Brigham Young, who would be responsible for moving a large portion of Mormons to what is now the state of Utah. The LDS church is known for its priesthood system of authority, continual revelation, and a very Judaic system of services. 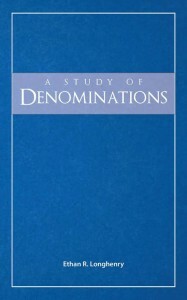 There have been some divisions within Mormonism, the most significant of which occurred in 1852 in Beloit, Wisconsin, when many Mormons decided to separate from those under the leadership of Brigham Young in favor of the accession of Joseph Smith III, for they felt that Young was moving the church in a different direction from the one seen in the Book of Mormon and the Doctrine and Covenants. This group came to be known as the Reorganized Church of Jesus Christ of Latter Day Saints (RLDS) and has recently changed its official name to the Community of Christ. There are also three other splinter groups: the Church of Christ (Temple Lot), who separated from the LDS soon after the death of Smith for the same reasons as the RLDS; the Church of Jesus Christ (Bickertonites), consisting of some Pennsylvania Mormons who spoke against Young’s teachings on polygamy and refused to march westward (the name comes from Bickerton, one of the elders of this group); and the Church of Jesus Christ of Latter-Day Saints (Strangite), a group in 1844 who claimed that James Strang was the successor to Joseph Smith, Junior, and followed his revelations and translations of other plates. Many other smaller sectarian groups have developed, mostly in the Utah area, many of whom follow after a persuasive leader and who attempt to restore LDS practices from the nineteenth century. The three books of “Scriptures” that were either written or translated by Joseph Smith represent the primary authority for the LDS church. They are The Book of Mormon (BOM), The Doctrine and Covenants (D&C), and The Pearl of Great Price (PGP). The Book of Mormon purports to be a history of a portion of the tribe of Joseph that traveled to America in 600 BCE until the final remnant of that group perished around 400 CE. This book contains supposedly “another testament” of Jesus Christ with prophecies from and commandments made by Him. The Doctrine and Covenants (the full title is The Doctrine and Covenants of the Church of Jesus Christ of Latter-Day Saints) is a book containing the alleged revelations of God to Joseph Smith between 1831 and 1843 along with some by later church leaders. The Pearl of Great Price is a collection of other works thought inspired by the LDS church, including portions of the Bible translated by Joseph Smith, a portion of his History of the Church, and The Book of Abraham, claiming to be a translation of some papyri Smith found concerning Abraham and his dealings with the Egyptians. The LDS church also affirms the validity of some of the other texts written from Smith’s time to the present day, but the only sources that they believe are thoroughly inspired are these three. We must these books in light of the gospel of Jesus Christ as given in the New Testament. Let us first examine these texts to see if they validate Smith’s claims and if they are internally consistent. We are told in 1 Nephi 1:2 that the plates are written in the “language of the Egyptians,” yet the language is considered by Smith to be a “reformed Egyptian,” as admitted by the LDS church. From the evidence given above, the only Egyptian script that could fit those characteristics is hieratic, a “cursive” shorthand form of hieroglyphics used in everyday writing. This language, however, was not well known by 1827, and no translation of it could be verified as Smith has claimed. To counter this, many Mormons will argue that “reformed Egyptian” is simply a variation of Egyptian that developed because of the isolation of the Jews in America, much like the difference between American English and British English. The problem with this explanation is that the professor supposedly says that the translation was “correct, more so than any he had before seen from the Egyptian,” a verification without substance since Egyptian was still not fully known during this period of time. Therefore, it is not possible for Smith’s story about the text being Egyptian to be true along with the verification of the translation: either the text was originally in Egyptian and the verification cannot be substantiated, the text was in another language that could be understood, or the entire story is fiction. These same plates were also supposedly taken back into heaven after Smith had completed his translation. Therefore, we have no way of confirming the translation made by Smith or that the plates existed. We must rely on his translation and have no basis upon which to judge its fidelity. The story seems not a little suspicious, and there are good reasons to wonder whether the entire story was manufactured by Smith to justify his claims. There is another text that he supposedly translates, The Book of Abraham. Smith claims that these Egyptian papyri contain a story concerning Abraham, including revelations given to him. The book even contains facsimiles of portions of the Book of Abraham, and they appear to be no more than pages of The Book of Breathings and The Book of the Dead, Egyptian texts found in many tombs containing the itinerary of the journey of the deceased through the afterlife. Recently, Smith’s originals came to light in New York, and they were demonstrated to be Egyptian texts of these sorts, and their translations were nothing like what Smith presented in The Book of Abraham. The LDS do not deny that the texts are Egyptian and that the characters do not represent what Smith translated. Instead, they posit that Smith received The Book of Abraham by inspiration while examining the papyri, and such is how the work was “translated”. Such entirely goes against any prevailing view of what “translation” represents; how can anyone have any confidence in anything Smith presents as “translation” when it does not correlate to what is in the translated document? Likewise, if “translation” often has nothing to do with what is on a papyrus (or plate, or whatever Smith sees with his “seer stone”), how could any of it truly be “verified”, as is claimed above, or even any attempt made at verification? Behold, David and Solomon truly had many wives and concubines, which things was abominable to me, saith the Lord. What was an abomination to God in Jacob 2:24 is given to David by God in D&C 132:38-39. Either God lied to one of them, was mistaken in speaking to one of them, or did not speak to one or both of them at all. Therefore, we can determine from the evidence provided that the source of the Mormon Scriptures is doubtful and its reliability questionable; furthermore, they have inconsistencies throughout. Some of these inconsistencies can perhaps be explained, yet not ones like the above. Let us now examine the texts in their supposed historical context to see if they conform to the information we have available. The Book of Mormon purports to be a record of Lehi and his sons, Laman, Lemuel, and Nephi, their journey from the Middle East to the Americas in 600 BCE, and the history of the Lamanites and Nephites, the descendants of Lehi and his sons, until 400 CE. This text is either an accurate rendering of the history of these people in the Americas in the past, or an invention of Smith. The only way that we can determine the truth of these things is to see whether there is any evidence in the Americas for the stories provided by Smith. There is no evidence that proves any portion of The Book of Mormon, nor is there any evidence that would even hint at a Jewish presence in the Americas between 600 BCE and 400 CE. This does not in itself disprove The Book of Mormon; however, any inconsistencies between the text and current understanding about the civilizations of America at that time would further demonstrate the lack of validity of the text. Let us examine this text to see if the information given is consistent with our understanding of the Middle East and the Americas in the seventh century BCE and beyond. It is of note that we do not see any evidence in the seventh century BCE of the Israelites of Judea using Egyptian as a language; the Israelites considered the Egyptians as a group of the Gentiles, and a true follower of God would have had nothing to do with anything of the Egyptians. The language of the Israelites was Hebrew, and individuals professing Judaism would write in Hebrew, not Egyptian, as is indicated in texts discovered in Israel from this time period. The Mormons respond by saying that it is possible for Lehi to have spoken Egyptian and that we cannot discount that possibility. It may be possible that Lehi spoke Egyptian, and no one could deny its possibility; however, we must look beyond possibility and look at the situation at hand. The Israelites who followed God were very much against any form of cultural contamination, as evidenced by the message of the prophets; therefore, it is highly implausible for any Israelite following God to use the language of the Egyptians. The criticism still stands. And it came to pass that as I, Nephi, went forth to slay food, behold, I did break my bow, which was made of fine steel; and after I did break my bow, behold, my brethren were angry with me because of the loss of my bow, for we did obtain no food. Nephi is supposed to have used a bow of steel in the seventh century BCE; however, there is no evidence in any portion of the world that the knowledge of refining iron to make steel existed in the seventh century BCE. Many Mormons attempt to say that it was entirely possible that someone happened upon this information and that such remains possible. We see in Ether 7:9 that steel is supposedly known before even Abraham, yet this is the time of copper, when even the combination of copper and tin to create bronze was yet unknown! Therefore, there is clearly an anachronism at play here. This translation is even a little inaccurate, for the correct translation of the Hebrew nehosheth is “bronze.” Therefore, the Bible is not inconsistent, for the language of David is accurate; the language of Smith, however, is not. The Mormons further argue that Smith came across a word for a metal that he did not understand and therefore translated it as “steel.” They point to information gathered about Mayan culture and that they had a metal that was similar to steel, yet is not known by us today. If this were true and this anachronism is no more than a translational difficulty of Smith, why did he not say that the bow was made of a metal “like steel?” Why is the language in 1 Nephi so specific as to include “steel?” This mistake could be forgiven of him had he not claimed himself that the Book of Mormon was “the most correct of any book on Earth;” if the claim were correct, “steel” would have been translated properly. Finally, in an attempt to justify the translation of Smith, many Mormons will claim that it is entirely possible that Nephi had a bow of steel and that we cannot disprove that his bow was of steel. We should there speak somewhat of the distinction that we must make between “possibility” and “existence,” since the majority of the claims of the veracity of the Book of Mormon are based on possibility. The story may have happened, even though no evidence exists for it. This is very true; however, this does not mean that we should accept the Book of Mormon. I will give another example that has relevance. There are some today who believe that the Sphinx of Egypt was carved around 10,000 BCE. Their evidence is that the limestone of the Sphinx shows weathering by water, which could only have occurred when Egypt was more tropical, or 12,000 years ago (it should be noted that even this is more evidence than there is for BOM). This is their only evidence. They posit that since the Sphinx is that old, there must have been a civilization that carved it. Yet there is no evidence for such a civilization. Does this mean that the Sphinx is 12,000 years old? By no means! We could say that the weathering could be caused by another agent, possibly wind, or we could even accept that the rock was weathered by rain 12,000 years ago and the Sphinx carved into it 4,600 years ago. Can we disprove that the Sphinx is 12,000 years old? That is impossible, but upon the examination of all evidence that exists, we must discount this claim because it does not have enough supporting evidence. The theory about the rock being weathered first and carved later has much more evidence, and therefore is the most accurate conclusion. The same concept goes for the Book of Mormon and specifically the claim about steel. We do not have any evidence that anyone in the seventh century BCE understood how to refine iron to make steel. The only plausible explanation for the “steel” in the Book of Mormon is that it is an anachronism of Joseph Smith’s own invention, and a demonstration that the work is of his contrivance, and not of God. Now, at this time it was the custom of the priest of Pharaoh, the king of Egypt, to offer upon the altar which was built in the land of Chaldea, for the offering unto these strange gods, men, women, and children. There are two difficulties with this text. First, it is claimed that Abraham himself wrote the text, yet he calls the king of Egypt “Pharaoh.” This term was not applied to any king of Egypt until Amenhotep III in the 1300s BCE, who ruled between 700-1100 years after Abraham traveled to Egypt. Furthermore, Egypt never in its history had control over the land of Chaldea, let alone during the Old Kingdom, where its borders never went further than the Sinai Peninsula. There is no evidence whatsoever that any of the Chaldeans, who were actually Sumerians at this time, ever worshiped or sacrificed to a god named Pharaoh, king of Egypt. This text, which seems to be something other than what Smith translated in the first place, has major historical and geographical disparities within it. The evidence that we have here is good evidence to show that the Mormon scriptures do not have their origin in God. The textual and historical evidence, however, is actually irrelevant to the validity of the Mormon scriptures as texts for understanding and doctrine; the texts could be consistent internally and with history and yet still be works not approved by God. Let us now examine the most important criterion: is the gospel presented by Smith in these scriptures the Gospel delivered once for all (Jude 1:3)? Let us now look at the Mormon scriptures to see if they are in complete conformity with the Word of God. And it came to pass that I, Nephi, did consecrate Jacob and Joseph, that they should be priests and teachers over the land of my people. For the priesthood being changed, there is made of necessity a change also of the law. For he of whom these things are said belongeth to another tribe, from which no man hath given attendance at the altar. For it is evident that our Lord hath sprung out of Judah; as to which tribe Moses spake nothing concerning priests. After this thing Jeroboam returned not from his evil way, but made again from among all the people priests of the high places: whosoever would, he consecrated him, that there might be priests of the high places. And this thing became sin unto the house of Jeroboam, even to cut it off, and to destroy it from off the face of the earth. God therefore did not look kindly to the alteration of His plan to have priests of the tribe of Levi and the tribe of Levi alone. God would have not suffered members of the house of Joseph to be priests any more than He would have suffered Jeroboam’s priests or the others appointed without His authority. There is much in The Book of Mormon and in the other Mormon scriptures about Jesus Christ, with extremely accurate prophecies of His future life. Not much can be said of these prophecies, since one must either believe that they are valid prophecies or that they are nineteenth-century contrivances; one recurring thread in these scriptures about Jesus, however, cannot be overlooked. The Mormon scriptures posit that many individuals of the past knew about Jesus Christ, believed in Him, were immersed in water for the forgiveness of their sins in His name, and even established churches, and all of this long before He walked the Earth. It is stated that Adam called upon Christ’s name3, that Enoch commanded baptism and was himself baptized with fire and the Holy Spirit4, that Noah preached baptism in the name of Jesus Christ5, and that many of the characters of The Book of Mormon, Alma, Nephi (the “third Nephi,” of the first century BC), and others believed in Jesus Christ and instituted churches6. Does the established Word of God allow for such a possibility? Moreover the tabernacle and all the vessels of the ministry he sprinkled in like manner with the blood. And according to the law, I may almost say, all things are cleansed with blood, and apart from shedding of blood there is no remission. It was necessary therefore that the copies of the things in the heavens should be cleansed with these; but the heavenly things themselves with better sacrifices than these. We see in this text many different points: a covenant is not in effect until the testator has died, the covenant is dedicated by blood, and the heavenly copies of things need to replace the earthly ones. We see, therefore, that it would be impossible Scripturally to place any form of redemption in Jesus Christ in His name before He died for the remission of our sins. God has determined that no covenant is in effect until the death of its testator: the covenant of God and man through Jesus Christ, therefore, did not exist until His death on the cross. This explains why the prophecies of the Old Testament point to the fulfillment of the promise in the future but the adherence to the Law at the present time: The Book of Mormon would have both at the same time7! How could one sacrifice bulls and goats in adherence to the Law of Moses while recognizing that Christ is the only true sacrifice? This cannot be so! God did not speak any such thing to His children in Judah, even though many remained faithful after the Exile, yet He guided the creation of a church for His Son Jesus in America? He recognized individuals calling upon the fruit of a promise that had yet to be fulfilled? This is not in harmony with the Word of God as given in the first century. And he said unto them: Behold, I know your thoughts, and ye have desired the thing which John, my beloved, who was with me in my ministry, before that I was lifted up by the Jews, desired of me. Therefore, more blessed are ye, for ye shall never taste of death; but ye shall live to behold all the doings of the Father unto the children of men, even until all things shall be fulfilled according to the will of the Father, when I shall come in my glory with the powers of Heaven. The LDS church and Joseph Smith in particular have fallen into the category of “the brethren!” John here makes it evident that Jesus did not say that he would never die, but was merely asking Peter a rhetorical question. How could John have thus desired for something that there is no indication that he ever wanted or that it would be granted him? There are many more inconsistencies that we could examine, but these are some of the most evident. It is clear, then, that the gospel presented in the Mormon scriptures is at odds with not only itself and history but also, and most importantly, with the Gospel of the Apostles. The Book of Mormon and its ilk are not “another testament of Jesus Christ,” but a “different testament,” one declared accursed by Paul. The LDS church regards very highly the scriptures it has been given from Joseph Smith, Jr., but also holds in high esteem the succession of leadership that has continued since Smith’s death. The leaders were designated as priests, either of the order of Melchizedek or of the order of Aaron8. The priesthood of Melchizedek is the higher order, and in their ranks are the head authorities of the LDS church: a President, who is the official head of the LDS Church9; high priests, who stand with the president10; the twelve apostles, who are messengers and create a quorum equal to that of the presidency11; and the seventy, 70 individuals called to preach the gospel who also form a quorum equal to the power of the twelve apostles12. Elders and bishops also come from the Melchizedek priesthood13, and the members of the Melchizedek priesthood are the ones who supposedly receive the revelations of God14. The priesthood of Aaron consists of individuals who have been given revelation that they are literal descendants of Aaron15, and they are the ones to administer the gospel to the people16. It should therefore be evident that the whole system of authority in the LDS church is rooted in its priesthood system. Does this system conform to the teachings of the New Testament? Let us first examine the claims about a priesthood of Aaron. This is also known as the Levitical priesthood, and its presence is well documented in the Old Testament. It is understood that under the Law of Moses that the Levites were the individuals chosen to be the priests of God and were to serve Him in His established rituals. But does this priesthood last beyond the Law of Moses? Now if there was perfection through the Levitical priesthood (for under it hath the people received the law), what further need was there that another priest should arise after the order of Melchizedek, and not be reckoned after the order of Aaron? For the priesthood being changed, there is made of necessity a change also of the law. For he of whom these things are said belongeth to another tribe, from which no man hath given attendance at the altar. For it is evident that our Lord hath sprung out of Judah; as to which tribe Moses spake nothing concerning priests. The author of the Hebrew letter is very plain in his language: the priests of the Levitical priesthood could not bring forth the perfect sacrifice; only the High Priest of the order of Melchizedek, Jesus Christ, could do so. The lack of perfection demonstrated that the priesthood was not to last: the Hebrew author states clearly that there was a change of priesthood, from the earthly Levites to the heavenly Christ. Therefore, how can one say that the priesthood of Aaron is still legitimate when the Hebrew author attests to its passing away? We do read about a priesthood of Melchizedek in the letter to the Hebrews, but we must examine it to see if it is the same as the one now practiced by the LDS church. Which Abraham received the priesthood from Melchizedek, who received it through the lineage of his fathers, even till Noah. Why should we believe that Joseph Smith received revelations kept hidden from the Hebrew author? God did not reveal to the Hebrew author the father or genealogy of Melchizedek, and this lack of information is used to make an important point: Melchizedek’s priesthood is not based on lineage, as was Aaron’s priesthood. Such is entirely contradictory to Smith’s supposed revelation. Who in the days of his flesh, having offered up prayers and supplications with strong crying and tears unto him that was able to save him from death, and having been heard for his godly fear, though he was a Son, yet learned obedience by the things which he suffered; and having been made perfect, he became unto all them that obey him the author of eternal salvation; named of God a high priest after the order of Melchizedek. And they indeed have been made priests many in number, because that by death they are hindered from continuing: but he, because he abideth for ever, hath his priesthood unchangeable. Wherefore also he is able to save to the uttermost them that draw near unto God through him, seeing he ever liveth to make intercession for them. For such a high priest became us, holy, guileless, undefiled, separated from sinners, and made higher than the heavens; who needeth not daily, like those high priests, to offer up sacrifices, first for his own sins, and then for the sins of the people: for this he did once for all, when he offered up himself. For the law appointeth men high priests, having infirmity; but the word of the oath, which was after the law, appointeth a Son, perfected for evermore. We should now see a fuller picture of the nature of the priesthood of Melchizedek. It is not an order to be given to men: we see that Melchizedek himself is without origin and end (Hebrews 7:3), as also is Christ. Christ performed the function of the priesthood of Melchizedek by offering Himself as an offering for sin once for all. We read in Hebrews 7:26-28 the awesome characteristics which make Christ the perfect High Priest: He has offered up Himself for our sin, has been tempted in all ways that we have without sin, and is all holy and all powerful. Ye also, as living stones, are built up a spiritual house, to be a holy priesthood, to offer up spiritual sacrifices, acceptable to God through Jesus Christ…But ye are a elect race, a royal priesthood, a holy nation, a people for God’s own possession, that ye may show forth the excellencies of him who called you out of darkness into his marvellous light. We should enjoy being a “holy” and “royal” priesthood and not accept claims of any other priesthood in Christ. Christ and Christ alone is our High Priest (Hebrews 5:1-5); the priests of the LDS priesthood of Melchizedek are hard-pressed to conform to any of the qualifications that Christ fulfilled in Hebrews 7:26-28. The LDS church also has “elders” that are sent out as missionaries. They are often in their twenties or thirties, and are mostly unmarried. Does this conform to the teaching of the New Testament? We see here that an overseer (in the New Testament, the same position as an elder; 1 Peter 5:1-4) must be married and have children in order to be qualified for the position. Therefore, the LDS eldership does not conform to New Testament teaching. It is evident that the complete authority system of the LDS church, its scriptures from Joseph Smith, Jr., and its priesthood system, do not conform to the authority system of God as presented in the New Testament. The discussion on Mormonism continues with Mormonism, II: Doctrine.